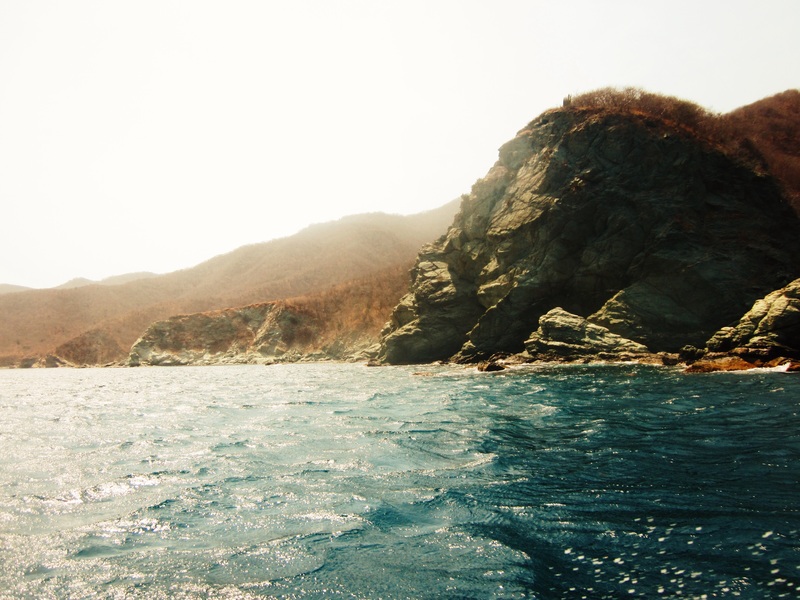 Diving in Taganga: A first-time diving experience! 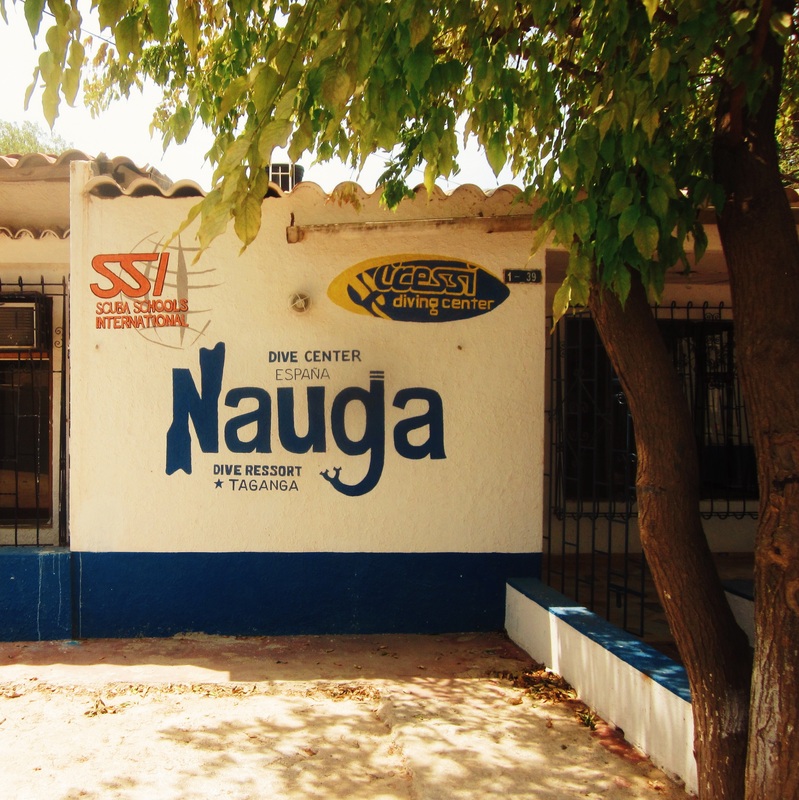 In Taganga, Santa Marta, I went diving for the first time with the cool people from Nauga. This is what I learned. If you have a good first time experience, I guarantee you that it won’t be your last. You will be hooked! The underwater world is simply amazing. We’ve all been to the aquarium or seen deep sea footage on tv but actually being there yourself will blow your mind! Imagine floating through a completely alien landscape of big rocks covered with delicate coral and gently waving seaplants and in between them, fish in all shapes, sizes and colors are going about their business, swimming back and forth and in between each other. It’s like a Pixar movie down there! The fish don’t see people too often so they don’t shy away when you drift by. You are like a fly on the wall in this underwater city. Remember to snap out of your entrancement once in a while to read your gauge, you don’t want to become a permanent resident! Sadly I lost my underwater camera but the overwater view was beautiful too! I will be honest and admit that I was a bit nervous about diving for the first time. Before going I did a lot of research online on what to expect and I advice you to do the same. It will make it seem less scary but really there is nothing to be scared of at all. A lot of first time divers start off in a pool, they don’t even get to touch open waters before they’ve practiced in a controlled environment. My two first dives were in the Caribbean sea just off the coast of Colombia near Taganga. The first dive was at three meters, just to do some safety exercises with the equipment. Exercises like what to do if you lose your mouthpiece, how to empty your goggles for water and so on. The second dive was a guided dive along the coast that went as deep as 12 meters. This was the dive were we saw all the cool sea life! After only 30 minutes of experience as a diver I was able to move relaxed through the water and enjoy everything happening around me. Amazing! 1. Controlling your breath. When you fill you lungs with air your body naturally begins to ascend towards the surface. To get yourself down to where the action is you have to empty your lungs and let your body sink. When you are low enough you have to find a balance between going too high and hitting the sea floor. 2. Hanging on to the mouthpiece. You have to bite down on it rather hard. It got away from me a few times but don’t panic. Just keep calm, put it back in your mouth and push the button that’s located on the front of the mouthpiece. This will clear out any water from your mouth and you will be able to breathe again. 3. Equalizing the pressure. As you go deeper the pressure from the water increases. You can feel this by a pain in your ears and this means you have to equalize. You take a deep breath, pinch your nose, close your mouth and do like you are about to blow out all your air in one quick burst. Your ears will pop like when you are on an airplane. You are now equalized! 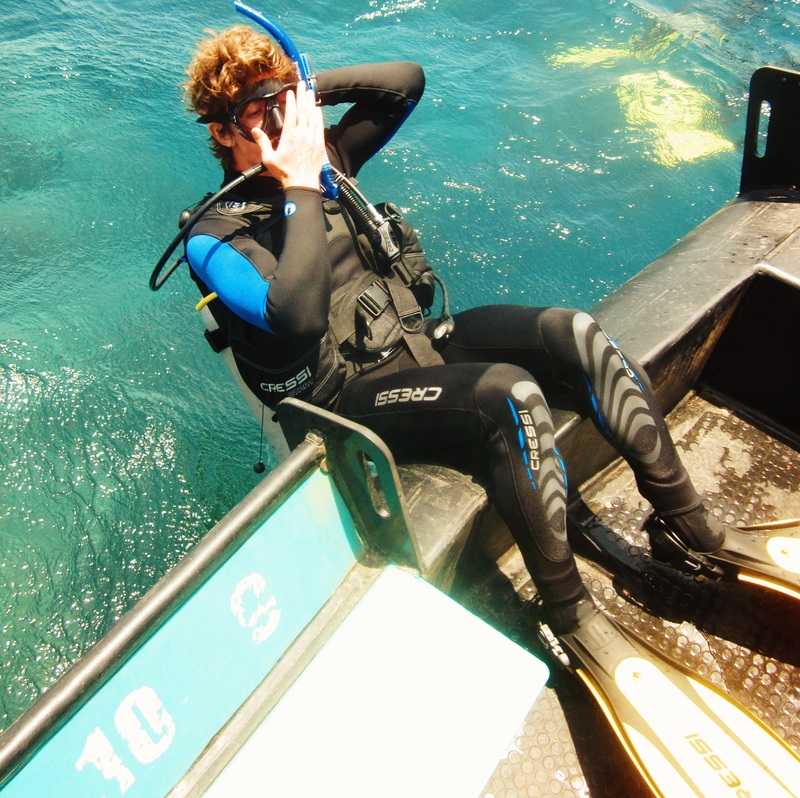 So, you want to have an awesome diving experience too? Then I suggest you go to Taganga! Why? Because it’s fun, safe and cheap! Especially if you choose to go with Nauga (here is a link to the package I did with them). Their equipment is new and in order, and they have excellent and thorough instructors that will take good care of you. I didn’t feel overlooked or in danger at any moment. I was given good and clear instructions, in english, and I always knew what to do and what not to do. The diving spot was awesome too, I mean it definitely outshines any pool I have ever been in. If you are considering diving for the first time or maybe even getting a certificate, then these people come warmly recommended!